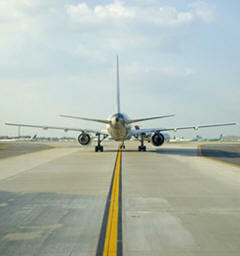 October 16, 2011 - The U.S. Government Accountability Office (GAO) has released a report that raises concerns about the increasing number of runway safety incidents at U.S. airports. According to the GAO, the rate of runway incursions and operational errors in the terminal environment (within roughly 30 miles of an airport) has increased dramatically over the last three years. The report finds that in that time the rate of airborne operational errors in the terminal area nearly doubled increasing 97%, the rate of operational errors in the TRACON environment more than doubled increasing 166%, the rate of operational errors in the tower environment increased by 53% and the rate of the most severe airborne operational errors more than doubled. ?The increase in runway safety incidents raises significant concerns,? said Transportation and Infrastructure Committee Chairman John L. Mica (R-FL). ?FAA must continue to address this safety issue. We have also requested the Department of Transportation Inspector General to examine runway safety issues and report back to Congress, and in light of these results from the GAO, the Aviation Subcommittee will also convene a roundtable to examine these persisting safety issues which seem to have gotten worse in recent years.? ?Airlines and FAA controllers alike share credit for the safety record we enjoy today. However, the recent uptick in near miss events is a precursor to tragedy and the Federal Aviation Administration must improve its performance in this area,? said Aviation Subcommittee Chairman Thomas E. Petri. ?Our reauthorization proposal directs the FAA to develop a runway safety plan and directs the FAA to remain accountable for tracking and addressing safety events. Accountability is crucial for FAA officials to address this safety hazard in an appropriately risk-based fashion.? The Federal Aviation Administration (FAA) collects official data on these types of safety incidents into a system known as the Air Traffic Quality Assurance (ATQA) database. FAA is also implementing additional safety reporting systems to supplement the data collected in ATQA. GAO suggests that the implementation of the new supplemental reporting systems may actually mean the ATQA numbers reported are lower than they otherwise could have been, since incidents reported into another system are not likely to be reported more than once. According to the report, technologies aimed at improving automated incident reporting have not yet been fully implemented. Furthermore, FAA does not have comprehensive risk-based data the sophisticated databases to integrate incident data from multiple sources. ?As a result, aviation officials managing risk using safety management systems? have limited if any access to FAA incident data,? according to GAO.